It is really an exciting thing for me to have a return guest to my blog! 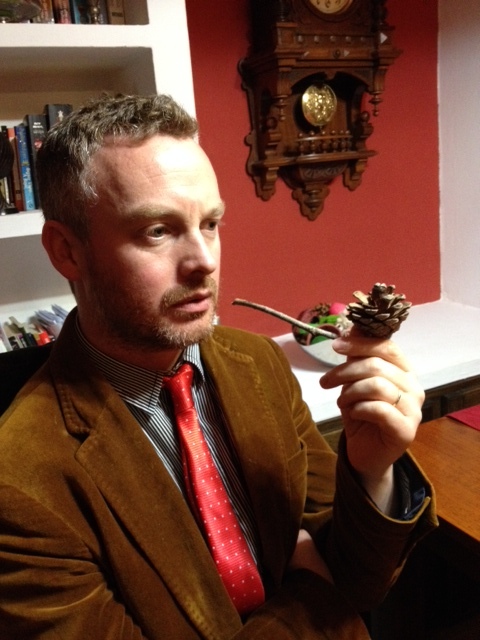 Today on my Writer’s Block, we will be chatting with Author Jonathan Dunne. A year or so ago, I had him on my blog and we discussed his first novel, Balloon Animals, the interview for which can be found here: http://wp.me/p35Mk4-3c. Today he is back, talking about Living Dead Lovers, his second book. Susan: It is a privilege to have you here again. Living Dead Lovers is available now, and I have just read it. I love the cover! Who designs them? Do you design them yourself? Jonathan Dunne: It’s probably a collaboration between my wife Ruth and I. We decide what we want and the cover artist comes up with something similar to what we’re looking for. Ruth came up with the idea of having the caravan in the fortune teller’s ball. Susan: I love the titles of your books! As a writer myself, one of the most difficult parts for me is coming up with titles. Did you know right away what the title for Living Dead Lovers would be? Or did evolve over time? Susan: One of the things I admire about you as a writer is your character development. Your writing manages to capture every quirky essence which becomes the character’s identity. When meeting people in real life, is that what you see? Jonathan Dunne: I can’t help it! Yes, it’s what I see. I’m an observer and mannerisms is something I find peculiar and characters can be defined by mannerisms and tics. Such a little thing but gives us insight into the character rather than how they react in a situation. Susan: In our last interview together, you described yourself as an outsider. You do not identify yourself as being Irish or Spanish. Does that still ring true? If so, I can’t help but see parallels to both of your books. Jonathan Dunne: Yes, I’m in Limbo! I never thought about those parallels with my books but now that you mention it… in Living Dead Lovers, the main character is in a Limbo of her own and so is her guardian, Mr. Brick. As matter of fact, every character is in their own private Limbo! Susan, what have you started here? Cabbage’s romantic father Willy is stuck in a Limbo both metaphorically and literally and Cabbage’s mother is in a literal limbo. Keyword: Limbo. It can also be said for a few major characters in Balloon Animals also… like Jonny Rowe’s grandfather who lives on in a balloon, yes, that could be seen as Limbo. You’re correct, Susan. I suppose every book has the author in them on a subconscious level – curious. Susan: Both of your books, Balloon Animals and Living Dead Lovers, feature main characters on the road during much of the story. Growing up, was there a lot of travel in your own life? Jonathan Dunne: No, but I did travel around a bit after leaving school, just me and my backpack … Europe… India. I love India. I think I live through my characters and get to do what I’ve always wanted to do. One part of me wants to take to the roads in a caravan or go to the USA with a balloon. My new book, The Nobody Show, will turn all that on its head though, and makes a point of it too. I won’t say too much for now… I’m tempted and have just thought about writing just a line but it’d give too much away so I’ll say nothing. I also have another book planned (very loosely) after The Nobody Show and that won’t be a road-trip either. The very opposite, as matter of fact: it will be based in a hotel. But the thing is that a hotel is a little microcosm of its own, and in a way, that too is travelling. This is getting too deep for me… I’m dizzy. Next question. Susan: Another similarity: both stories feature the dead. Is that a coincidence or is the notion of death/the afterlife something that you have often wondered about? Jonathan Dunne: I tend to worry about death, yes. More so to the fact that I can do nothing about it. I’ve been trying some experiments lately to see if I can find the trick to eternal life but the experiment ends in an explosion every time. I cannot comprehend how, one day, I will cease to exist, just as before I was born. But I suppose it won’t be too bad because I wont have the option to think too long about it when I’m dead – that would be depressing. Who needs to be depressed AND dead? Yes, the dead and death do interest me and am known to go for an occasional walk in the old cemetery here in Toledo, Spain. Susan: Well put. When I read Balloon Animals, a family member was in the ICU and your book provided me with a much needed laughter. I recently downloaded Living Dead Lovers during a very busy and stressful time, and once again, your writing delivered! I want to thank you for that! I get the feeling that your personal life must be filled with laughter! Is that a fair theory? Jonathan Dunne: I think I have as many laughs as anybody else. I’m not a person who goes around laughing all day. Actually, it’s hard enough to get a laugh out of me but some situations just crack me up. I tend to be serious (so my wife says) when in company. I keep telling her that it’s just my face that’s serious but I’m actually rolling around inside. I don’t feel the need to laugh a lot of the time, unlike Cabbage’s father who retires to his bedroom in the caravan for half an hour each day to purposefully laugh his head off because it’s his way of getting back at the world. I live when I’m writing and there are no limits to the world while I’m writing and I’ve decided that, if my books are going to have an element of humour, then make it as good as possible because I feel that if my books are going to gain momentum, it will be for the comedy and the odd situations plus the characters. While I’m writing these people and situations are very real and the characters must act accordingly. This is why, I think, many reviews say the same thing: such an unbelievable story but somehow logical. If you take your characters seriously, the reader will take them seriously. Susan: I found that in Living Dead Lovers, my emotions ran the gamut. I laughed hysterically at the crazy images your writing conjured during those opening few chapters as you introduce the reader to Nicolasia and Willy. And as Cabbage speaks to us from the womb, then as a girl growing up, I felt such compassion for her loneliness. Brilliant. Can you tell us how you see those three characters? Jonathan Dunne: I see them as the reader sees them. Susan: Another aspect of your writing that I adore is how you take unbelievable irony and make your characters go through it, and come out the other side, somehow. One such scene that comes to mind is the birth of Cabbage. Without getting too graphic, how on earth did that scene come to you? Jonathan Dunne: That’s a good question. I don’t know, what image lead to another, I suppose. The thoughts of Cabbage’s mother running around a cabbage patch under a full moon was beautiful and wild. Then you’ve heard the expression, maybe, ‘Cabbage-Head’. It was kind of born from that, no pun intended. Susan, I don’t know how to answer the question. The image just came to me and I thought it would be the best place for Cabbage to be born. My writing is organic, as organic as the cabbages that grow in the cabbage patch, and to capture something of the magic is impossible. Susan: A general comment: Your characters have great names. Great job with that! Now, next question: I am almost afraid to ask this, but what would Willy, being a romantic, have on his iPod? Jonathan Dunne: I think Will would probably listen to Beethoven’s Moonlight Sonata over and over again because of its haunting, romantic quality. Susan: Do you have a favorite character in Living Dead Lovers? If so, who? Jonathan Dunne: Can you pick a favourite from your own kids? I can’t. Susan: Great point! Tell us: What writing projects are you currently working on? Jonathan Dunne: Yipee! I get a chance to introduce my new book (it’s not really a book yet) . The Nobody Show is about a bunch of nobodies who want to be somebodies but sometimes we have to settle for just anybodies. Did you get that? Good. All I can say is that, if you like what I’m doing, then stay tuned… It should be out at the end of Summer (I said that the last time). Susan: I want to thank you for taking the time to do another interview with me. 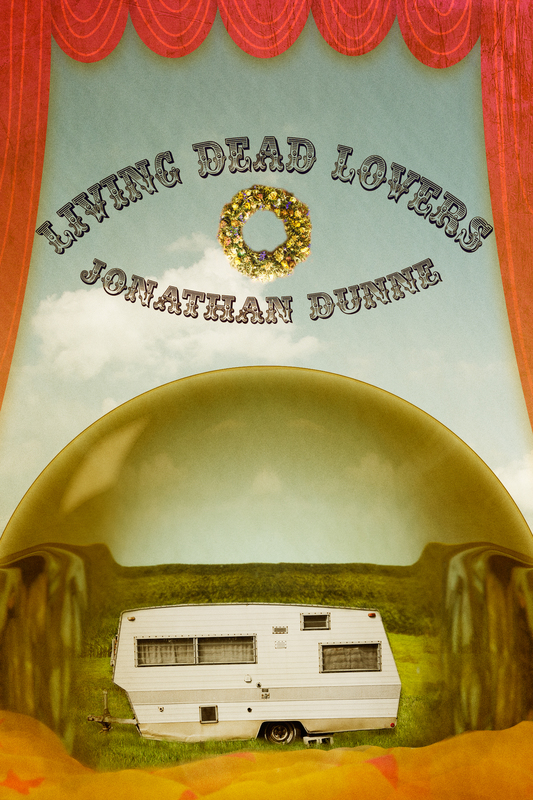 My Amazon review of Living Dead Lovers is here: http://www.amazon.com/review/R10F3FSXFTU5LM/ref=cm_cr_pr_perm?ie=UTF8&ASIN=B00H881V14. I look forward to your next effort with great anticipation. Jonathan Dunne: Thank you, Susan. This entry was posted in Author Interviews, Travel Inspires Novel and tagged Author Interviews. ← It’s NestPitch Time!!! The Submission Window Is Now Open!